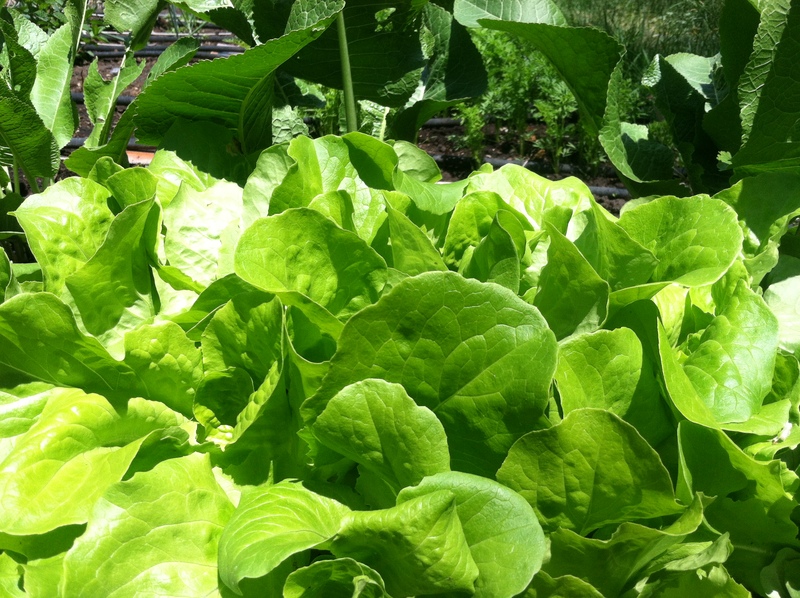 This year we grew Mantilla Buttercrunch lettuce, Arrowhead lettuce, New Zealand spinach and Kale. Talk about delicious! 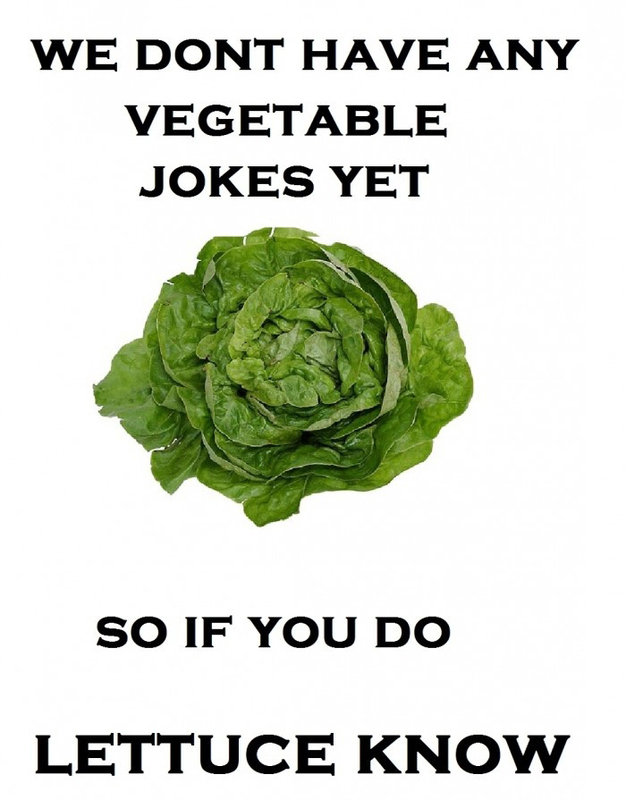 There’s nothing quite like home grown lettuce, and it’s super easy to grow! Plant the seed, water, then Viola! Green luscious leaves ready to eat! They are a spring crop and love the cool weather. But with a little work you can grow it all year long! The key is to start it early and sow it often! SUMMER GREENS: When the heat of summer comes, the plants can quickly bolt and get tough so I’ll try and position my greens in the shade of bigger plants, like corn, tomatoes, peppers, beans or any other bigger bushier plants you have growing. 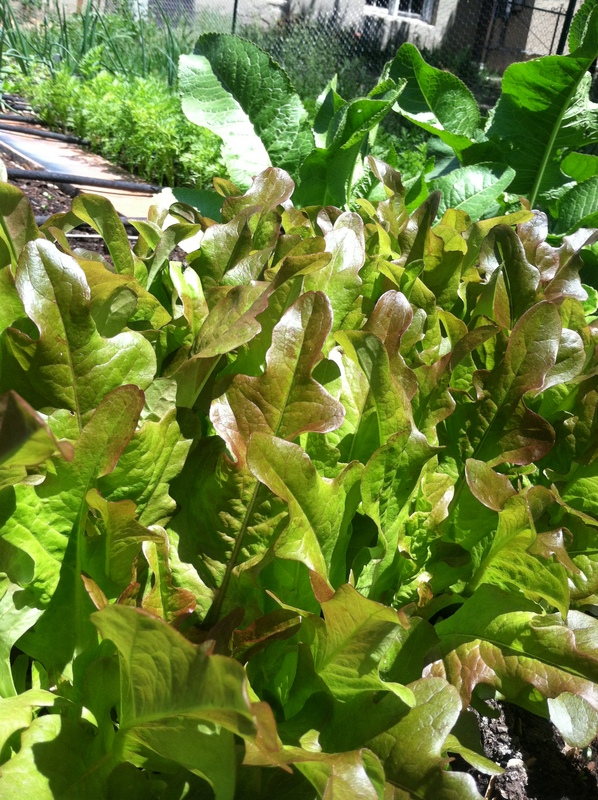 There are also different varieties of lettuces that are better suited for really hot climats, here is a couple different sites that list a few varieties and tips: Utah State Extensions, University of Illinois Extention, The Washington Post, and NC State. *Also, water often but remember the plants have shallow ends, so they don’t need a ton of it! FALL GREENS: Once summer ends and the cool weather drifts back in watch for temperatures and cover when temperatures go below 50 degrees. WINTER GREENS: As soon as winter sets in you’ll need to move your plants into a green house or indoors! But they will grow happily as long as they have enough light, warmth and food! 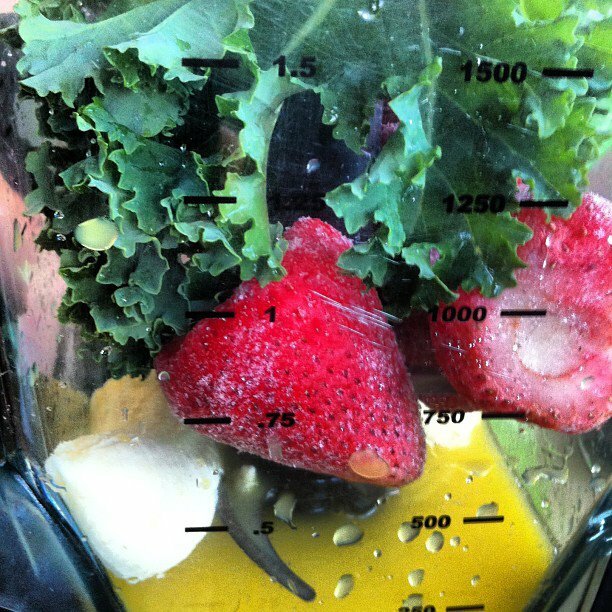 And our delicious Kale smoothie! 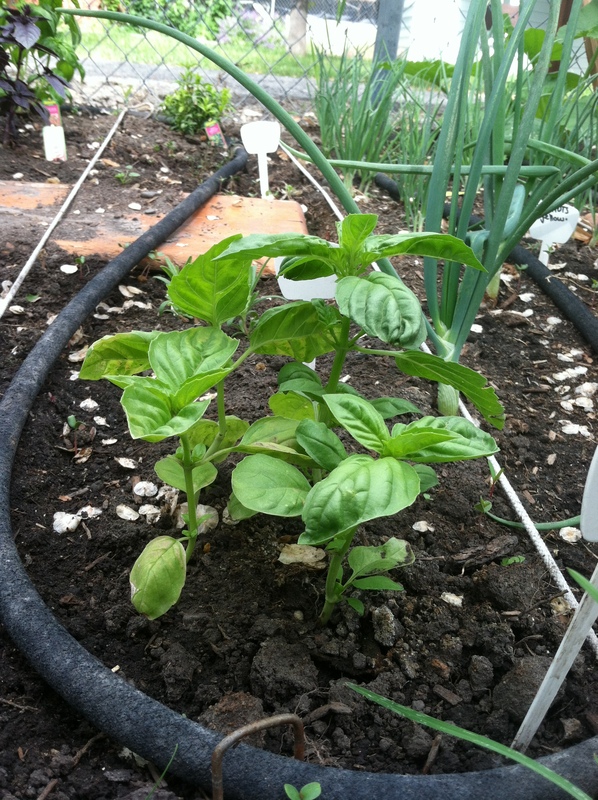 Basil: This is one of my very favorite herbs to grow. It smells so wonderful and the taste is unforgettable. We eat a lot of it in our home, on top of spaghetti, in sandwiches and salads and made into pesto. 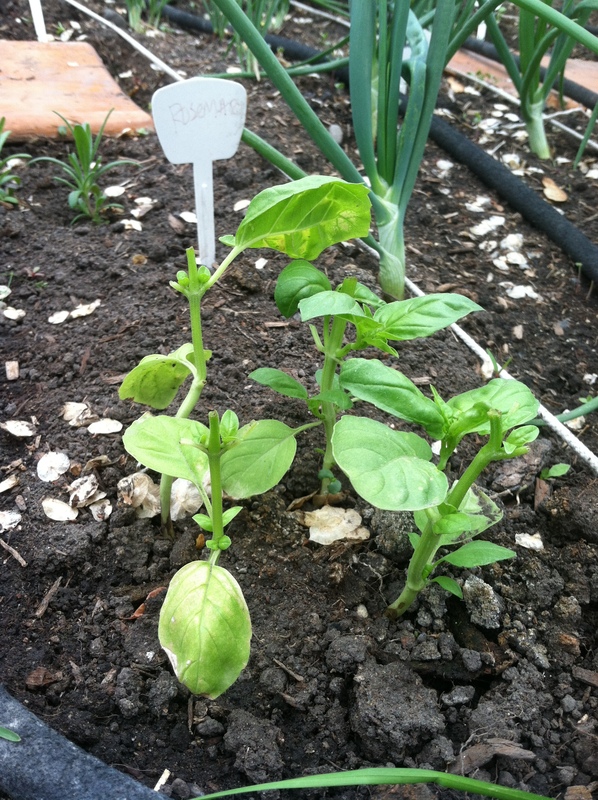 A little bit about Basil. They love heat and it’s always a good idea to plant basil around the same time as tomatoes. They get sad and droopy if temperatures get below 50 degrees at night. If you’re going to start them indoors I suggest planting them 4-6 weeks before the last frost and they can very fickle starters, so it’s a good idea to plant 2-3 seeds per cell. They are pretty easy to care for once they START. These aren’t the greatest pictures. But I cut back all the plants to right above the second set of leaves. I plan on cutting back the plants once a month to ensure speedy growth and flavorful leaves. Wait until the end of the season to let it go to seed so you get the most out of your plant. I am learning so much this year and can’t wait to see what else I can get my hands on! If you have any questions let me know and I will try and answer to the best of my knowledge. Happy growing season!